Every company employee should be trained in customer service. This is especially important if you have a small business where all employees interact personally with your customers. Not sure why this is so important? Check out these five fantastic reasons why all your employees should be trained in customer service. Every single one of your employees will come into contact with customers at some point. It may not be often or it may be on a constant basis. Whichever way it goes, the fact remains that they will. This is the number one reasons they need customer service training. Just one bad experience coming from someone who doesn’t usually handle customers can hurt your company. One of the first things your customers see upon entering your store are your employees. It is also one of the things people will tend to remember long after they’ve left. 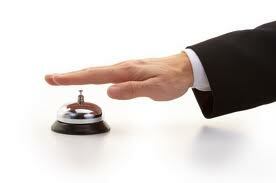 If you want the face of your company to be a good one, you need to have top notch customer service. This incorporates all employees, even if they’re primary job is to stock or handle things in the back of your store. When your customers have better experiences, they are more likely to become repeat customers. When you retain customers your bottom line sales numbers are better. Repeat customers are also more likely to rave about your company to their friends, family, co-workers, and other people they come into contact with. Ensuring that all of your employees are trained in customer service amounts to less stress for everyone. You will have less stress because you know your employees are fully capable of handling anything that comes their way. Your employees will be less stressed for much the same reason. Your customers will have less stress because they will not have to deal with rude or ill equipped employees during their shopping experience. Less stress makes for a better shopping or working experience. When all of your employees are able to fulfill a variety of job tasks, your productivity is greater. Why? You won’t have to wait around to accomplish things because no one is able to accomplish what is needed- at least in terms of customer service related tasks. These are the most important tasks which need completed day after day. Your customers want to get in and get out quickly. They want their questions to be answered promptly, and their needs to be meet as quickly as possible. Ensuring that all of your employees are trained in customer service is not simply a good idea, it is vital to your company. If you have not already, now is the time to make sure everyone receives the appropriate training so that your company may begin to reap the benefits.